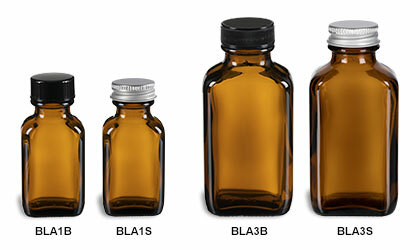 The Blake bottle is an eye-catching choice for packaging tinctures, extracts and other light-sensitive products. The rectangular shape with rounded corners, reminiscent of antique iodine bottles, gives these bottles a distinctive old-world apothecary charm. Available in a one-ounce size with a black phenolic cap or silver metal cap, and a three-once size with a black polypropelene cap or silver metal cap.